The holidays are upon us, which means lots of indulgent eating this time of year. 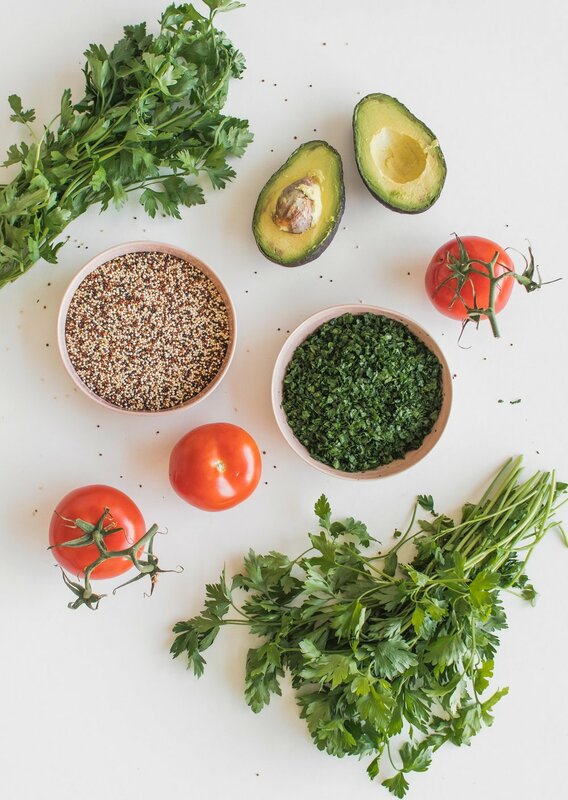 If you need a break from all the cookies and stick to your ribs meals, look no further than this quinoa tabbouleh. I know, I know, quinoa tabbouleh isn’t traditionally Syrian, but it’s now such a staple in my mom’s kitchen after we were introduced to it in Peru over 8 years ago. My mom, of course, perfected it over time, and it’s so simple and so good! Nobody wants a soggy tabbouleh. 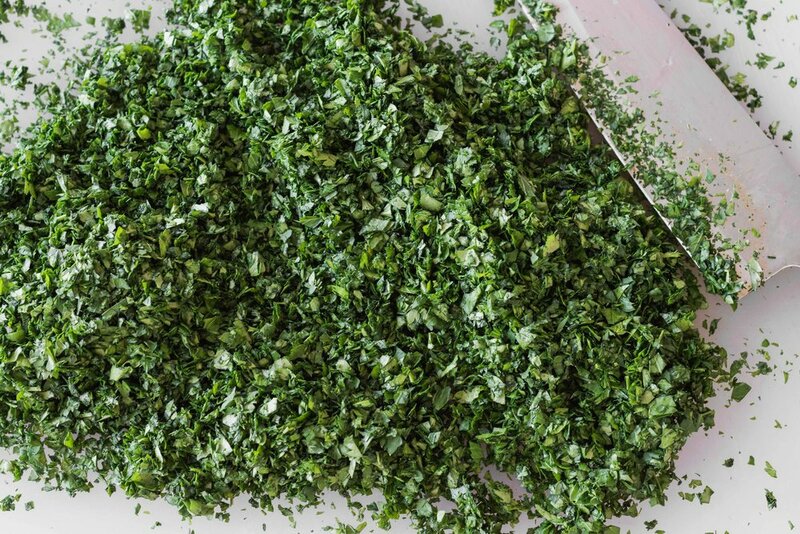 Be sure your parsley is properly dried and drained on paper towels for several hours before chopping. Seed the tomatoes, and be sure to dress the tabbouleh just before serving. I promise yours will come out perfect if you give your ingredients this little extra tender love and care! You can use any type of quinoa, but the tricolor quinoa gives this salad another visual dimension. Prepare the parsley but washing, spinning dry and draining on paper towels for a few hours. Once the parsley is properly dried, mince finely. Cook the quinoa in 2.5 c of water. Once the water comes to a boil, cover and reduce to the lowest setting until all the water is absorbed. Combine all the ingredients up until the lemon juice in a large mixing bowl. Just before serving, add the lemon juice and olive oil. Then add the salt 1/2 tbsp at a time. Thoroughly mix before tasting and add more salt if necessary. Serve immediately, and enjoy this delicious goodness.